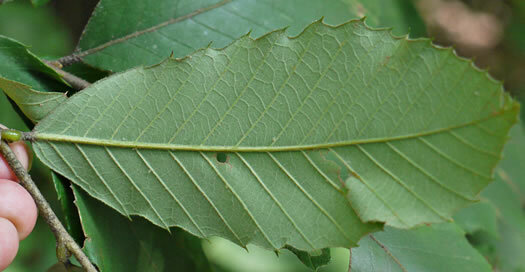 Hairs usually conspicuous on twigs & leaf undersides, at least early, per Woody Plants of the Southeastern US: A Winter Guide. 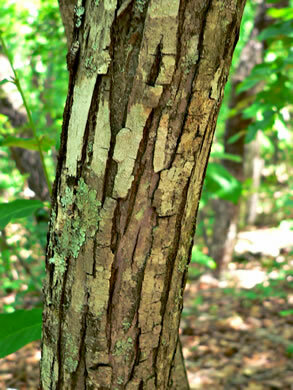 Bark light red-brown, shallowly furrowed, with flattened plates, per Native Trees of the Southeast, An Identification Guide. 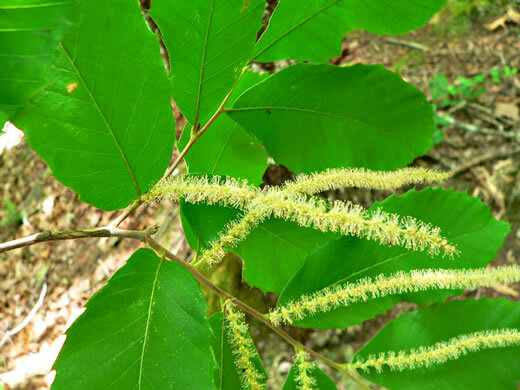 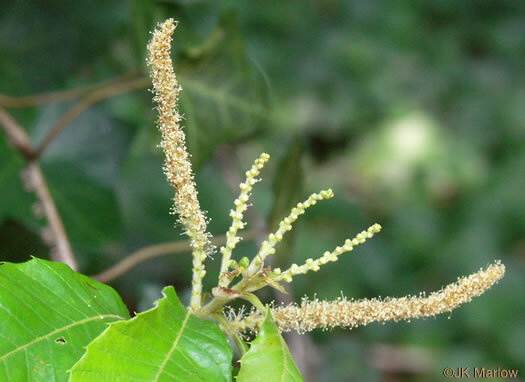 Staminate flowers in upright catkins 4-6" long; pistillate inconspicuous, per Native Trees of the Southeast, An Identification Guide. 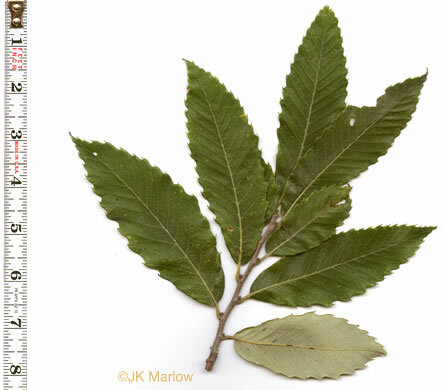 Twigs slender, gray, woolly pubescent when young, becoming glabrous, per Native Trees of the Southeast, An Identification Guide. 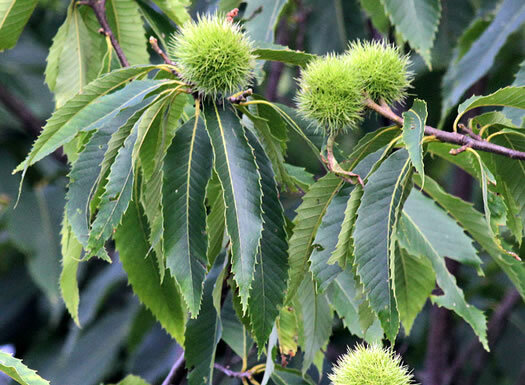 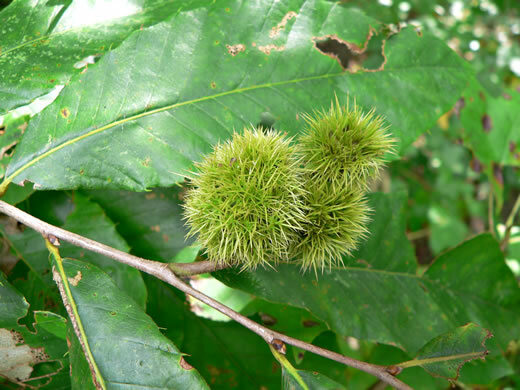 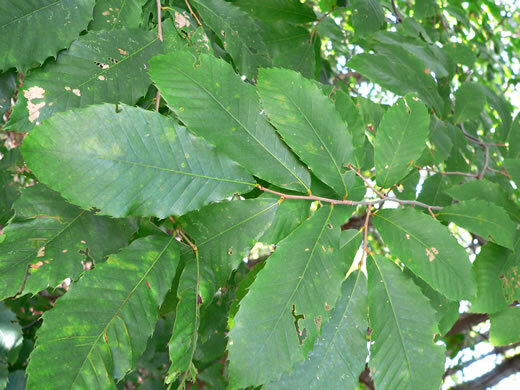 Leaves mostly 3-5" long, teeth often tipped with a short bristle, per Woody Plants of the Blue Ridge. 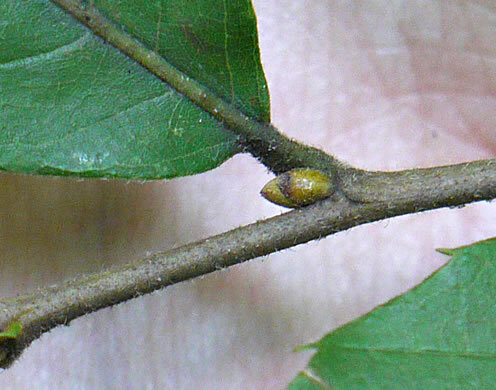 Fruit husk spines and leaf petioles are usually less than 1cm long, per Woody Plants of the Southeastern US: A Winter Guide. 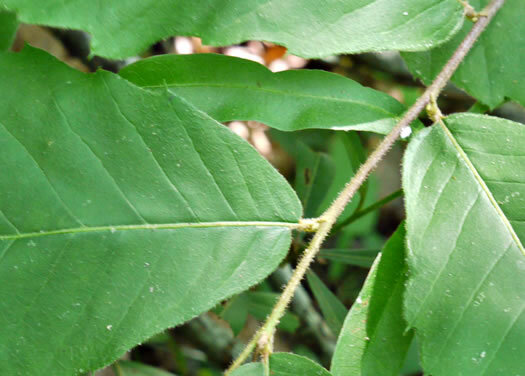 Leaves whitish & velvety below, short-pointed, per Woody Plants of the Blue Ridge.